Sphinx Elite is the United State’s premier online coaching and sports nutrition provider for all levels of athletes! We offer a variety of options to suit the needs of all types of athletes. Based in sunny Tucson, Arizona, Sphinx Elite provides personalized online coaching services with ample face-to-face time with the coach. We are there with you every step of the way to ensure this plan works for YOU! We are also your one-stop shop for professional sports nutrition advice. Sphinx Elite’s registered dietitian has years of training and professional experience working with elite athletes, as well as a tremendous amount of personal experience as an elite distance runner. Our nutritional services are tailored to address your individual needs and can be customized to focus on any topic of interest! The coaches and dietitians at Sphinx Elite are also available for group talks and presentations at your clubs next event! 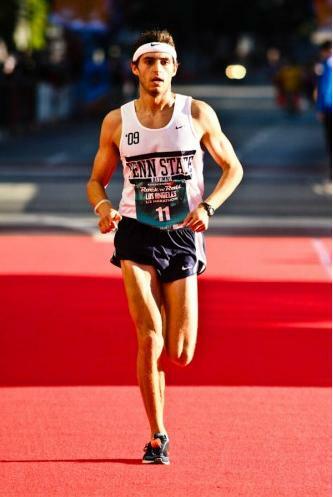 Sphinx Elite was created by former Penn State Cross Country/Track & Field standout and registered dietitian, Dennis Pollow Jr to provide expert nutritional and coaching services to athletes from across the country. Dennis has a degree in Nutritional Sciences from Penn State, a Masters Degree in Exercise Physiology from the University at Buffalo and is currently pursuing a PhD in Physiology at the University of Arizona. As the head sports nutritionist and principle coach for Sphinx Elite, Dennis is able to provide his athletes with the most cutting edge sports nutrition recommendations and training philosophies combined with extensive real world experiences.